BFP Ovulation Test Strips | Fairhaven Health - Free Shipping! 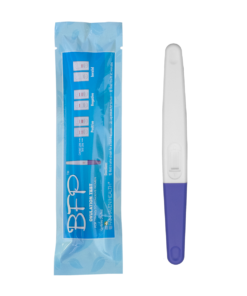 Our BFP Ovulation Test Strips are designed specifically for trying-to-conceive women. They're easy to use, highly accurate, and cost a fraction of what drugstore brands charge. We say it every day here at Fairhaven Health: the key to achieving pregnancy is knowing when you ovulate, your most fertile time of month. A great way of determining that is by using urine-based ovulation tests. Ovulation tests work by detecting the surge in Luteinizing Hormone (LH) that occurs just before you ovulate. When your LH levels go up, you know that ovulation is right around the corner. In fact, you will typically ovulate within 24-48 hours of your LH surge. 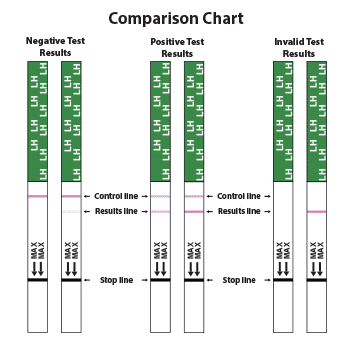 Our BFP Ovulation Test Strips are designed specifically for trying-to-conceive women. They’re easy to use, highly accurate, and they cost just a fraction of what drugstore brands charge. 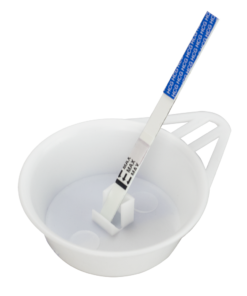 Unlike midstream ovulation tests, which are held directly in the urine stream, BFP Ovulation Test Strips are designed to be dipped into collected urine (a Dixie cup works fine). After dipping the test in urine, lay it on a flat surface. Within minutes, your test result will appear. A positive result indicates that peak fertility is at hand and that this is your optimal time for achieving pregnancy. Interpreting the results of your ovulation test is simple: simply compare the intensity (boldness) of the test line to that of the control line. If the test line is as bold or bolder than the control line, that indicates a positive result and ovulation will occur within 24-48 hours. 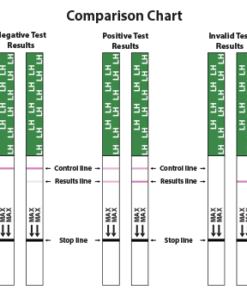 If the test line is fainter than the control line, or if the test line is not visible at all, that indicates a negative result. 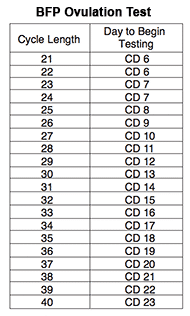 See the sample results below for illustrative purposes. Note that complete test instructions ship with every order. Made in N. America to ensure accuracy unlike many others that are manufactured in China. Purchase tests a la carte, get as many as you want! No more guessing – ovulation detected 24-48 hours in advance. Over 99% accurate, results you can count on. Easy to use! Read your results within minutes. Pee on a stick as often as you like, these tests are affordable! Hope you see a positive result soon, Rachel! 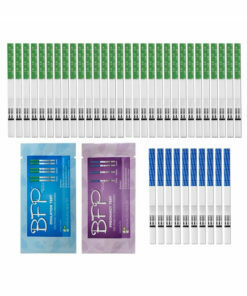 After trying a couple different ovulation strips while trying to conceive, I ended up using the BFP Ovulation strips exclusively. They are easy to use and helped me track my cycle and increase my chances of knowing when my fertile window began. After years of being on birth control, I was able to understand my cycle within a few months of stopping and became pregnant that same year. I plan on using this product again when trying to conceive for our next child. Agreed, Kolina. Ovulation tests are so helpful when trying to get a sense of your fertile window. Glad you liked the BFP ovulation tests! 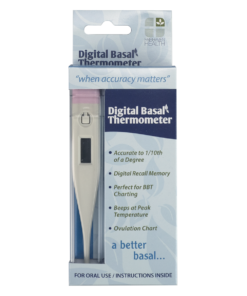 This product help me track my ovulation…Soon after I got my BFP On a pregnancy test….Thanks so much!!! Thanks for sharing your experience, and congratulations to you! These strips are affordable and accurate. I used these when trying to get pregnant with our first and now we’re using them to ttc our second child. Each time I have used these, they are have been extremely accurate. I also use a digital monitor to also test my ovulation and both opks matched up. I am a total POAS, so I love how affordable these are. Easy to use, arrived in a timely manner. Overall I’m pleased! Thanks for your feedback, and best of luck to you! Good product, fast shipping, inexpensive and accurate results. What more can you ask for? Did what they were supposed to do and very simple to use! Had no issues will get again! Good to hear – thanks for your feedback! I’ve never used the ovulation strips before but since I was already familiar with the HCG test strips it was easy to use. Got a big fat positive when I began ovulating on day 14 of my cycle. 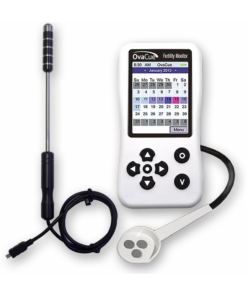 Ovulation testing can be so helpful when determining your optimal time to conceive. Good to hear they’re easy to use and you’re getting conclusive results. Super fast shipping! Easy to use, easy to tell when positive result! Love the price. Easy to interpret is a great compliment for an ovulation test! It can be so frustrating to try to interpret those narrow internet cheapies, which is a key point of differentiation for BFP tests. All our best to you! Easy to use and very affordable. Ships quickly too! Thanks for your feedback on the ovulation test strips, Katie. Glad to hear you’re finding them easy to use.